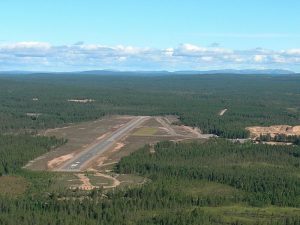 A quiet unmanned airfield in Northern Finland, near the town of Kemijärvi, with a relatively large runway and two aprons. 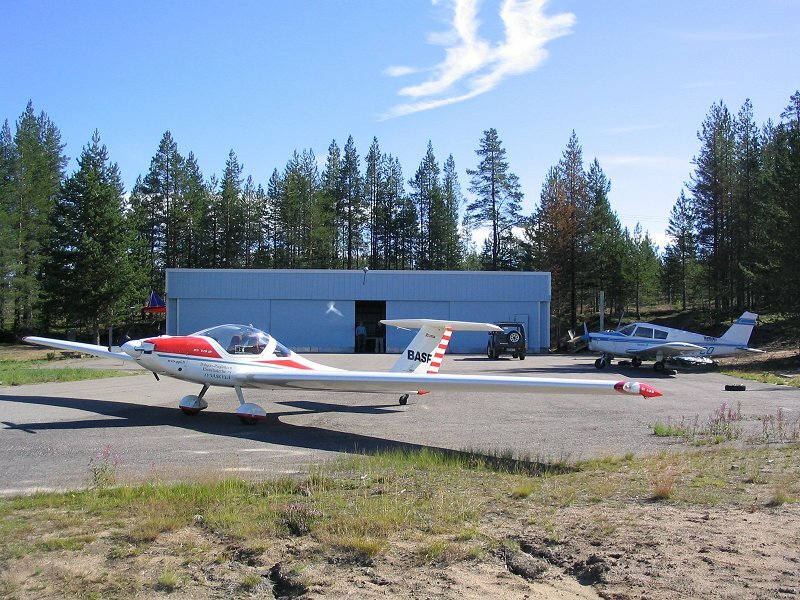 Only a few local general aviators use the airfield. 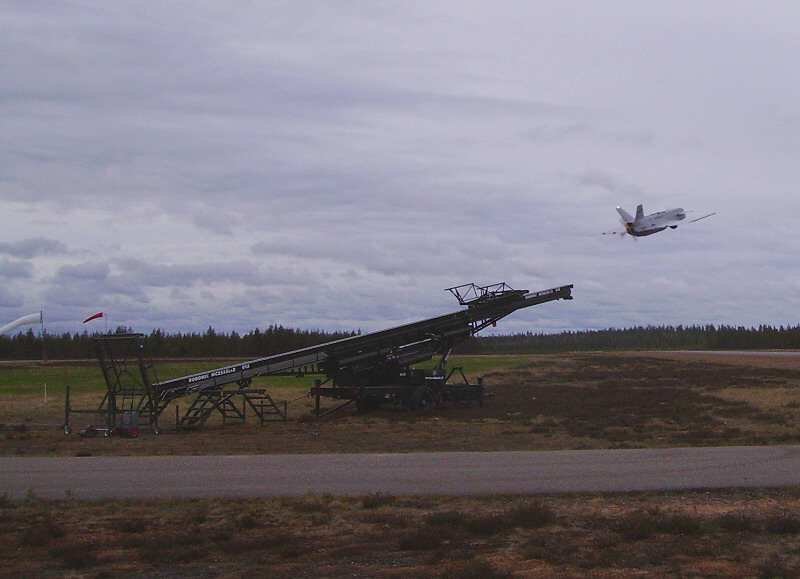 A Finnish company Robonic Arctic Test UAV Flight Center (RATUFC) Ltd offers test flight services at EFKM and in the surrounding airspace since 2006 for international unmanned aircraft system manufacturers. 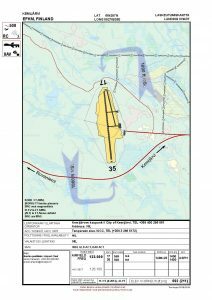 Limitations in airspace use are announced well beforehand. On the field there is an office building and a club lodge with a small socializing space, cooking equipment, and overnighting possibilities. The field gate is kept closed to prevent reindeer from straying into the field. Instructions for opening the gate are received by phoning the contact person. 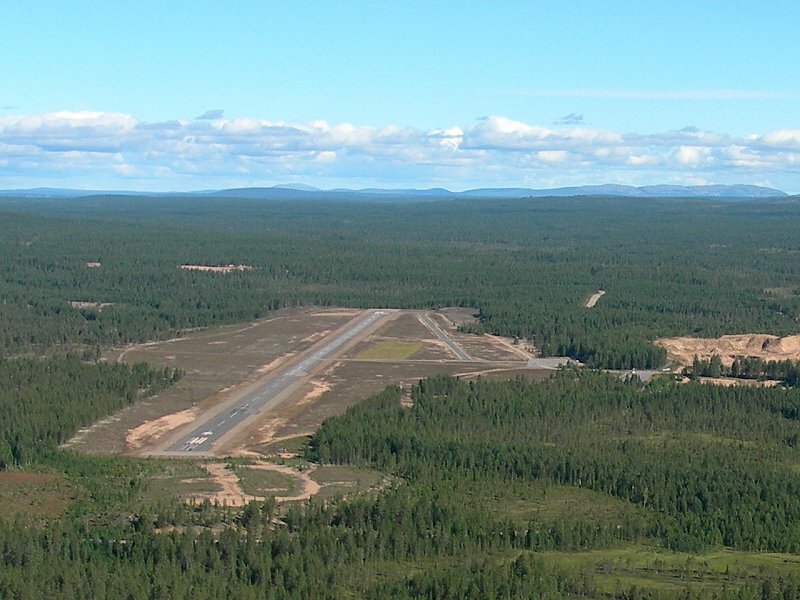 A quiet unmanned airfield in Northern Finland with a relatively large runway and two aprons. Runway dimensions 1400 x 23 meters, asphalt. 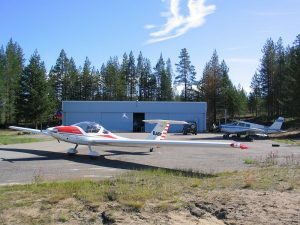 Only few local general aviators use the airfield. A Finnish company Robonic Arctic Test UAV Flight Center (RATUFC) Ltd has been offering test flight services at EFKM and in the surrounding airspace for international unmanned aircraft system manufacturers since 2006. The runway and aprons are in excellent condition. There are no obstructions at the edges of the runway. The Kemijärvi lake is surrounded by imposing fells, especially to the south. To the north you can see the magnificent row of Pyhätunturi fells: Kultakero, Ukonhattu, Noitatunturi, Peurakero, and Laakakero. Services are found in Kemijärvi center, 10 kilometers from the field. Taksi +358 16 106 499. 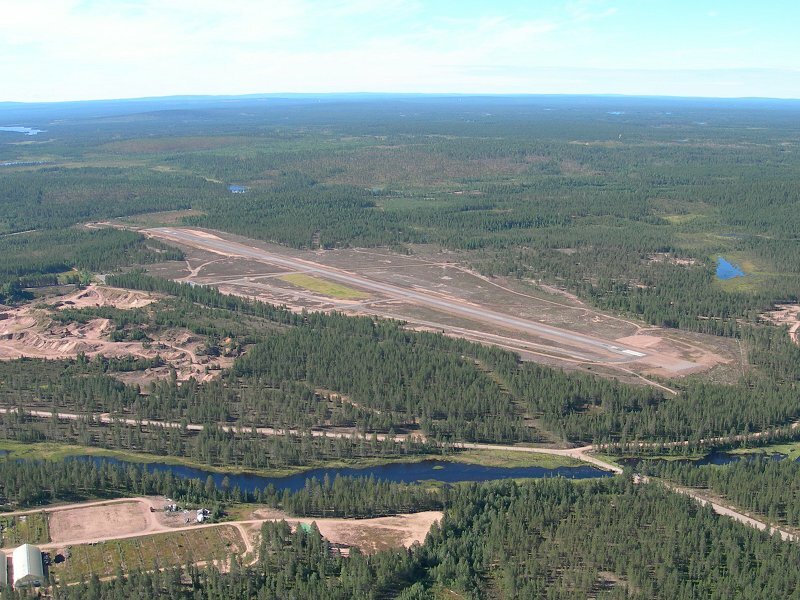 Kemijärvi airfield seen from the north side in 2.8.2005. Photo by Jukka Hämäläinen. 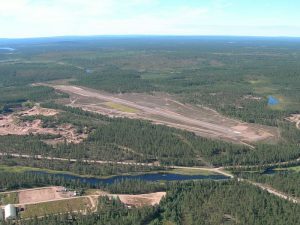 On the right downwind for runway 33, 2.8.2005 Kemijärvi. Photo by Jukka Hämäläinen.